The recent Australian census revealed that 483,000 New Zealanders are currently living in Australia. 130,000 of them are Maori. The figures have provoked some coverage in the media, including a number of articles quoting William Bourke, the founder and director of the Stable Population Party, which wants an end to the Trans-Tasman Travel agreement that allows New Zealanders to live and work in Australia. The party, with a level of support that sees it lumped in the ‘others’ statistic in polls, represents the most reactionary wing of the environmental movement, those that see the problem as one of ‘too many people’. Another policy is ending parental leave for women having more than two children. Australian recruitment firms are looking for workers in New Zealand to fill a supposed labour shortage in Western Australia. Over a thousand people have registered for a “fly in, fly out” scheme that would see New Zealanders spend five weeks in Western Australia and then two weeks back home. They would be paid in New Zealand dollars to New Zealand bank accounts. In Kaikohe, an impoverished town in the far North with a population of 4100, one in every six people have signed up to work in Australian mines. 2499 people in and around Kaikohe are receiving an unemployment benefit, so earning prospects of NZ$127,000 to NZ$180,000pa are a huge draw card. Salaries are well in excess of even what a skilled miner would earn locally, NZ$85,000 and NZ$90,000pa. The work is not easy though- Twelve-hour days, seven days a week in 40 to 50 degree Celsius heat in the middle of the dusty outback. This is the definition of the Australian expression “hard yakka”. Hamilton builder Tim Bennett, 24, who went to work in Western Australia to pay off debt working in exploration drilling told TVNZ that the lifestyle was “miserable”. With a higher cost of living, around 60-70% of New Zealand workers in Australia return home within a year. In less miserable industries in Australian cities New Zealanders can still expect to earn more than doing the same job, a higher cost of living means New Zealanders are not necessarily better off. Michael Whybro, owner of SOS Recruitment estimated that between 60% and 70% of New Zealand workers in Australia would return home within a year. It seems the rhetoric of politicians is far removed from the reality, John Key called migration to Australia ‘a long-term problem’ but why exactly it is a problem he didn’t say. While he didn’t mention New Zealand workers specifically, Paul Bastian of the Australian Manufacturing Workers Union described an Enterprise Migration Agreement that will see 1,700 overseas workers recruited for a new iron ore mining project as “sheer lunacy” when many people are out of work. The Australian unemployment rate is 5.1%, (New Zealand 6.7). Both countries however are still receiving migrant workers from around the Pacific (and elsewhere). It seems that although unemployment exists, certain jobs are only appealing to those with worse prospects in their home country. 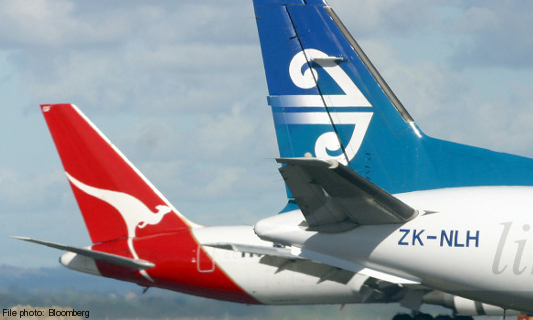 It is the Trans-Tasman travel agreement that sees New Zealanders earning so much in Australia. Those under more restrictive visas will often take what they can get. 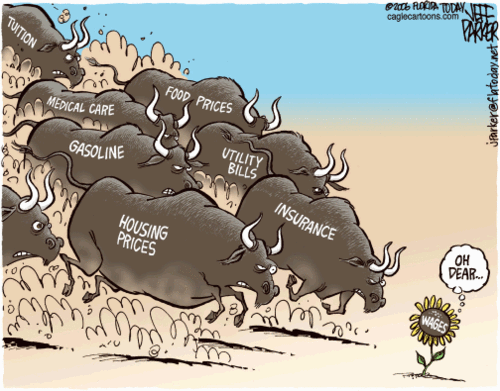 Such is the situation for migrant workers in the horticulture, viticulture and aged care sectors. 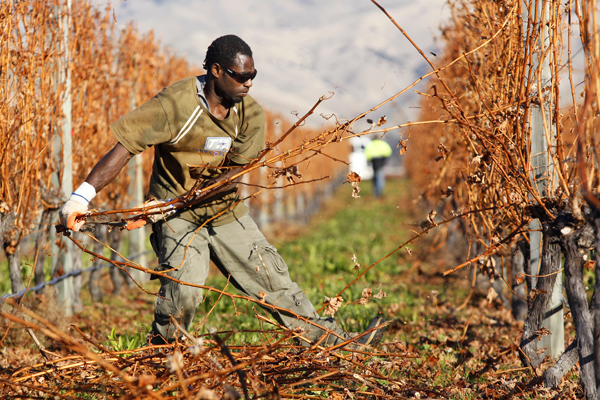 The migration from New Zealand to Australia shows that opening borders to a lower-wage country does not have a destabilising effect or cause significant job losses. If Australia and New Zealand were to open their borders to the nations of the South Pacific – something that Pacific leaders have described as a deal-maker for a new regional trade agreement – the levels of exploitation that happen in the above industries would be somewhat alleviated. Immigration controls are not so much about controlling how many people enter a country, but about controlling people when they get there. Migrant workers would be less likely to remain in low wage industries if the alternatives were open to them, and they would be more likely to participate in unions and industrial action if the threat of deportation was not hanging over them. Contrary to popular misconceptions, relaxed immigration controls could see wages increase. In the unlikely event that the brand of ironic-populism being pushed by William Bourke catches on that won’t happen. “We’re just saying we don’t believe in open border arrangements” he told the New Zealand Herald “nothing justifies an unlimited immigration programme unless New Zealand was sinking under the ocean”. Freedom of movement for workers would at least provide more hope in Tuvalu and Kiribati, nations that may well be underwater if the present trends in carbon emissions remain. New Zealand is a pacific country. We should allow Polynesians, and Fijian Indians, the right to come here for seasonal work up to say 6 months a year. They would take their earnings home and help the Islands. Plus my view is we should give everyone going on holiday in the Pacific area fifty dollars a day each. For over say 4 days and under 14 days a year. So a maximum of NZ$500 per holiday maker per year. It would do more than all our overseas aid to help the Pacific Islands raise their standard of living.